Thermal Ceramics refractory mortars were developed to match dense and insulating firebricks in various thermal, chemical and physical service conditions. 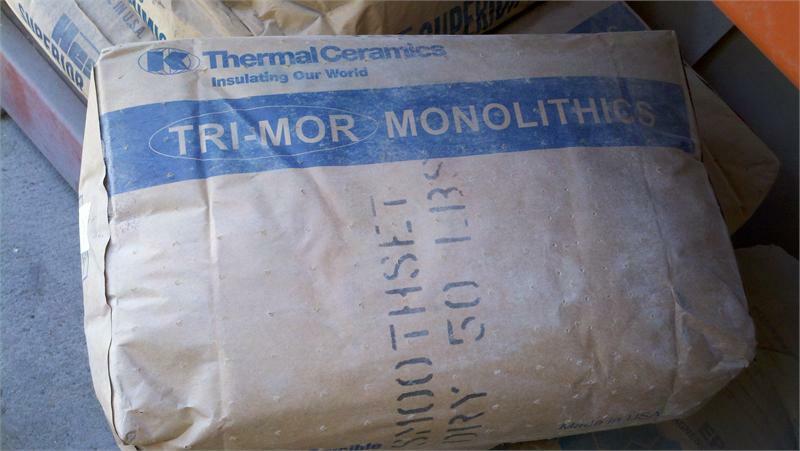 Available in dry powder, Thermal Ceramics mortars will provide the convenience you want with the performance you need for practically every high temperature refractory application. Smoothset Mortar has an extra smooth, creamy consistency plus excellent tackiness to brick surfaces. Maximum service temp is 2900 degrees F.
For trowling add 30% water by weight, for dipping add 50% water by weight.